In the Tokyo underworld, dominated by the Sanno-kai crime organization & ruled by Mr Chairman (Soichiro Kitamura), rival clans clash for power and money while temporal alliances and betrayals become indistinguishable. 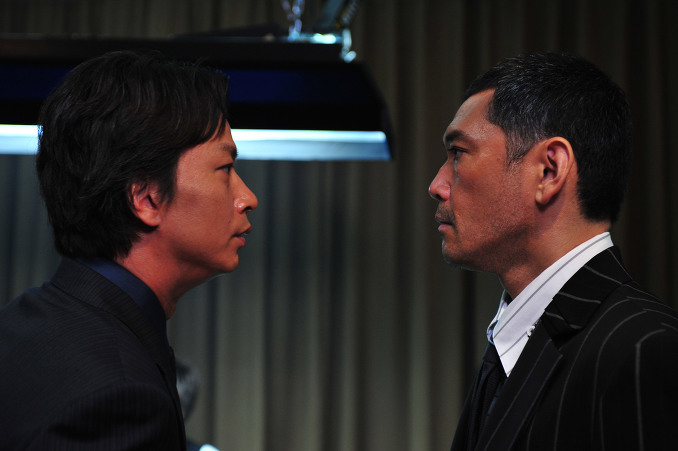 Kato (Tomokazu Miura), the #2 man in the Sanno-kai group, warns regional crime boss Ikemoto (Jun Kunimura) about his increasingly friendly dealings with rival regional crime boss Murase (Renji Ishibashi). In order to appease Mr. Chairman's suspicions of any type of planned coup, Ikemoto orders Otomo (Takeshi Kitano), crime boss for the smaller Otomo group, to take action against the Murase group. 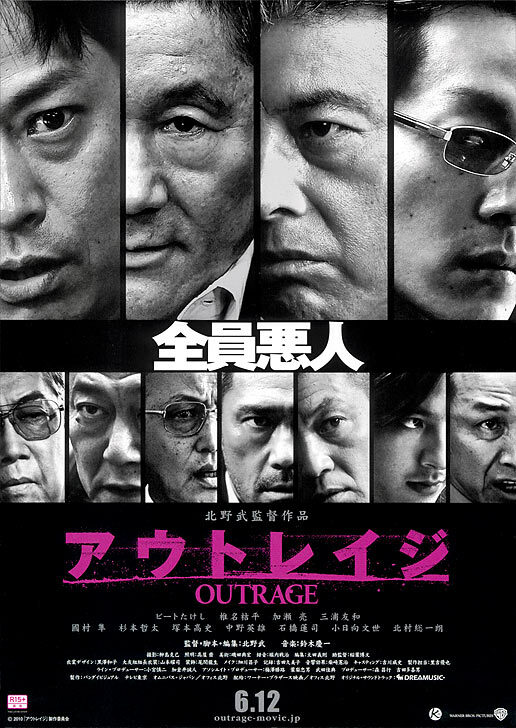 "The Outrage" is Takeshi Kitano's first yakuza movie since 2001. The movie is said to contain a frightening level of violence.